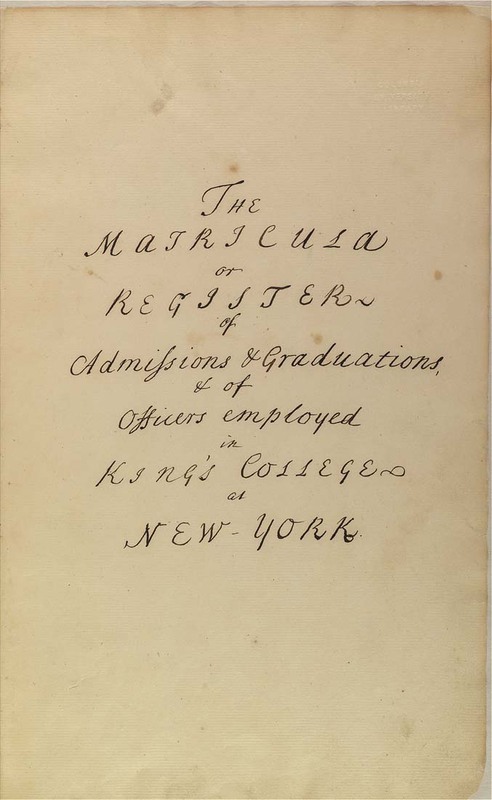 King's College (New York, N.Y.) The matricula or Register of admissions & graduations, & of officers employed in King's College at New-York. — 1754-1777. — ,  p.
The Matricula or Register of etc. Formala Diplomatis for Gradu A.M. in etc. Declaration by All Graduates in etc.